If you are still unconvinced as to the power that sending fax online has to offer, then read on. More and more private individuals and companies are becoming aware of the many great advantages that this technology has to offer. The need for conventional fax machines is dissipating as more and more companies opt for the great online fax software. Save time and increase productivity – your employees won’t even have to leave their desks to send and receive their faxes. They can also send and receive as many faxes as they want at the same time, with no waiting period. Save money – thanks to not needing any expensive consumables you can now enjoy sending and receiving your faxes affordably. There’s no need for a dedicated fax line either. Keep your number for life – even if you move offices, cities or countries, you retain your fax number for life. 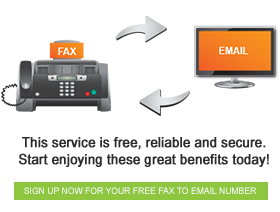 All you need to do is to sign up with a fax online service provider who will set up your internet fax number and associate it with your email address. You’ll be set to go and hit the ground running, sending and receiving faxes using your internet connection as your fax line and fax machine.